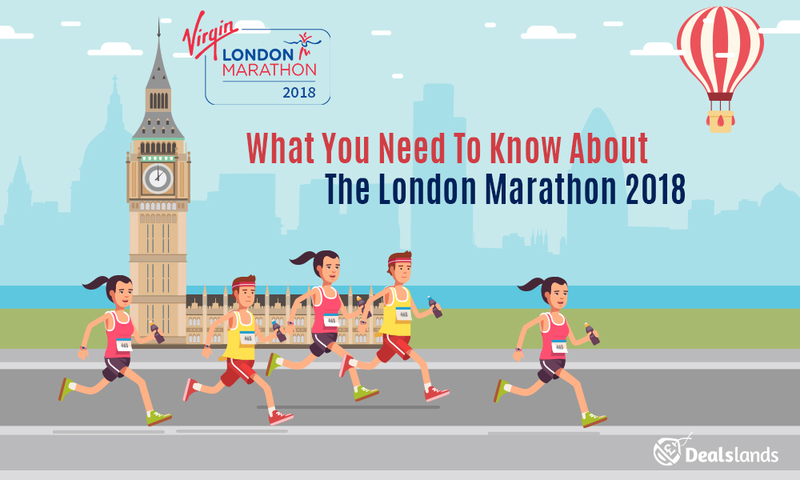 The London Marathon event is the UK’s most awaited running events where thousands of participants take part to be a witness of one of the longest marathon races in the world. The atmosphere is so charged up during the event that it literally gives you goosebumps. Crowds are cheering and highly excited to have fun during the event and fundraisers are there in fancy dresses to display their enthusiasm. The London Marathon covers 26.2 miles and all the roads of the city are closed down due to the event. For a whole week, the event becomes the talk of the town. This year, the London Marathon 2018 is held from 15th to 22nd April and the sprightliness can be seen among people. The London Marathon event is held in every spring and is a 26.2 mile race across the streets of London where people participate and have fun while running. The event is one of the most attractive and remarkable events of the London and participants run with enthusiasm. The atmosphere is totally supercharged and you can find runners across the streets of the London. You can even find pubs and bars filled up with local residents who are gathered to cheer up participants. There are two ways you can participate in the event- either by ballot or through fund-raising activity. Where Is The London Marathon Held? The route covers almost all the areas of the London. It starts south of the Thames river at Blackheath and ends in front of Buckingham Palace. It passes through Greenwich and central London. This year, the London Marathon happens on April 22, Sunday. According to trusted sources, there are more than 40, 000 runners will participate this year. The honorable Queen will inaugurate the race and the live coverage will be broadcasted at 10AM from the Windsor Castle. It will be a mega event unquestionably. Which Celebrities Are Participating This Year? 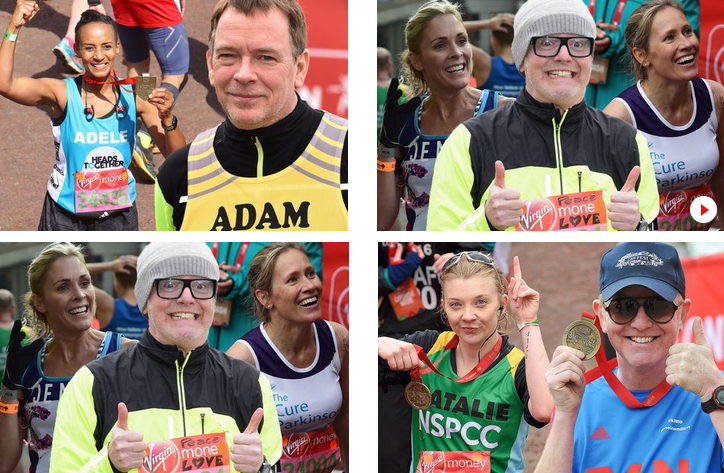 Every year, some famous faces participating in the London Marathon and this year too, it will follow. Some of the celebrities who are participating this year are Caitriona Balfe (for World Child Cancer), Bertie Carvel (for The Old Vic), Eve Myles (for NSPCC), Jack Ashton (for Campaign Against Living Miserably (CALM)), Selasi Gbormittah (for World Vision), Frances Quinn (for Macmillan Cancer Support) The Bakers Dozen and many more. What is the price to enter the Ballot? For members with an active member of any UK affiliated running clubs, the charges are £39, or £35. For overseas participants, the entry fee is £80. The ballot is kept open for 5 days. Why? The first and foremost reason is the London Marathon’s popularity. For the 2016 event, the entries were projected to close in just less than 8 hours due to a huge rush from participants across the globe. By keeping the ballot open for five years, it helps participants to get a fair chance to register themselves with the race. Hence, since 2016, the system is same. How can I run for 2018 London Marathon if I failed to get a place through a ballot system? There is a way. You can run for charity. There are many charities available and you can check out the list here. you can contact them to check out their charity requirements and choose one that you find impressive and authentic. What is the age range to be eligible to run for the London Marathon? you need to be an adult. It means that you must be 18 years or older on 22nd April 2018. Can I run using my friend or family member’s place? Sorry, it is not allowed to run for someone else places. If you are found running, you will be disqualified immediately. In addition to that, you will also be banned from any future events held by London Marathon Events Ltd.
Is there a waiting list? 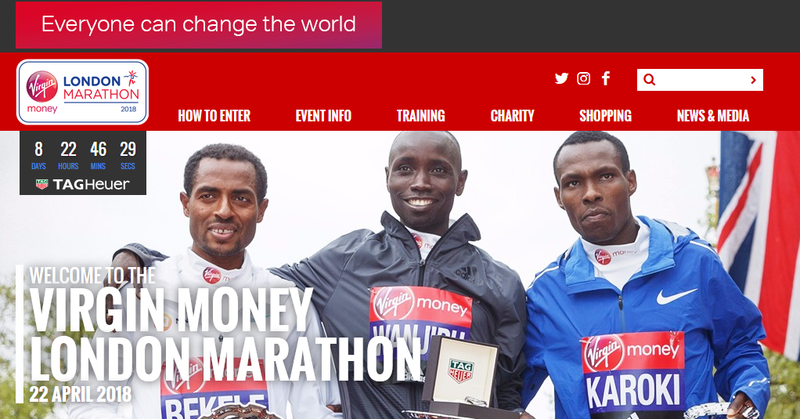 Can I get a chance if someone drops out of the Virgin Money London Marathon? There is no waiting list here. 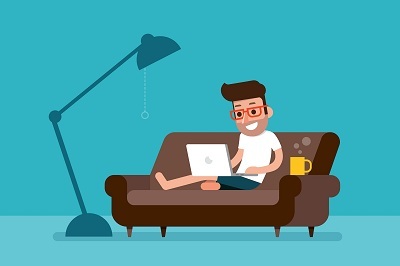 When we determine the number of entries, we take a great care and also calculate a certain number of people who will drop out before the event. You can have fun even if you are a mere audience due to a charged up atmosphere on the marathon day. Enjoy the spectacular event as a viewer or if you love to give donations to the needy, go to charity and participate. In any case, you will be making some mesmerizing memories.